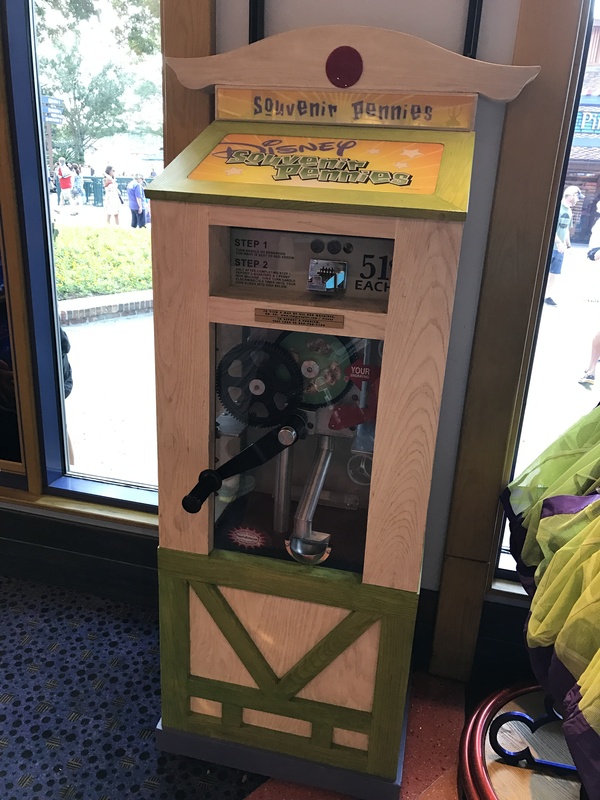 I’m back with another update from Disney Springs as I heard about some new penny machines. 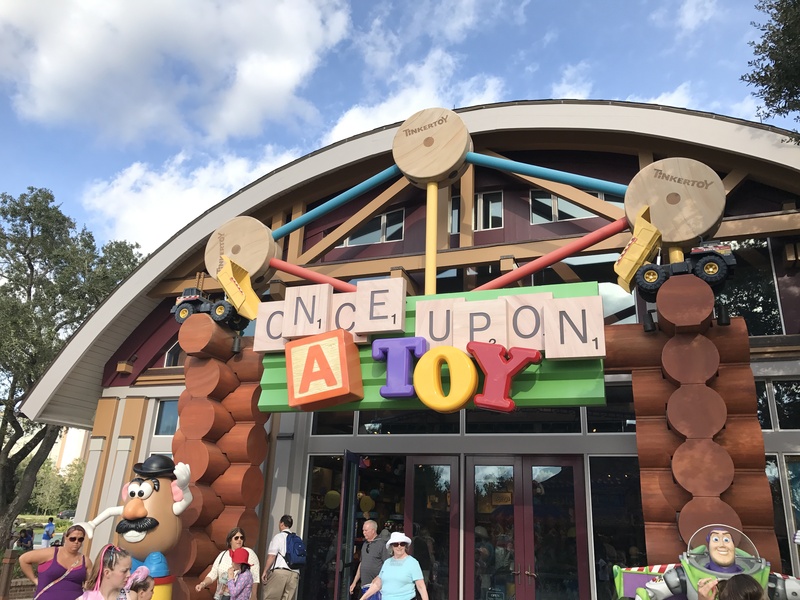 This trip took me back over to Once Upon a Toy Store which I could swear I had just visited?!?! Click here to read about my last visit for some Star Wars pennies. In any case I shouldn’t complain since there is nothing wrong with more new pennies. As I’ve mentioned in the past this is a huge toy store, and my inner child would love to just buy half the stuff they have here. But I couldn’t be distracted as I was on a mission to find the new pennies machines. Thankfully the first one was right inside the main doors. I should mention that this machine was actually located in this store years ago and was removed in 2015. Just recently it has made its way back to the store but the designs have stayed the same as before. This 4-design hand crank machine has Mater and Ramone from Pixar’s Cars Movie, Dash and Frozone from Pixar’s The Incredibles Movie. Now this store is kind of setup as three stores in one. 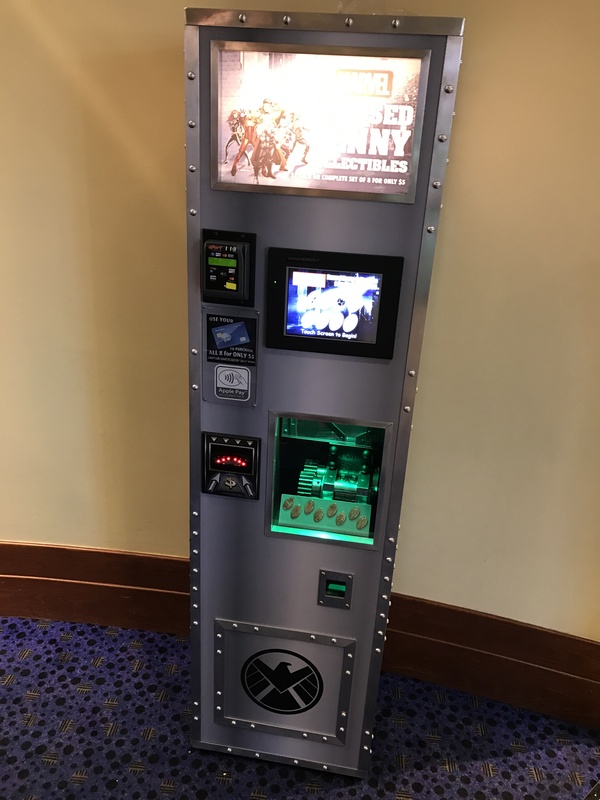 The first part had all the standard Disney characters and souvenirs, the very back of the store is all Star Wars (this is where the other machine was located), but right in the middle is the Marvel’s Superhero section. This is where I found the second machine which as you can see is an 8-design touch screen model (Love these!). The touch screen is easy to use and the instructions walk you through exactly what to do. Being the nerd I am I used my Apple Pay as payment and my coins started dropping out the bottom. 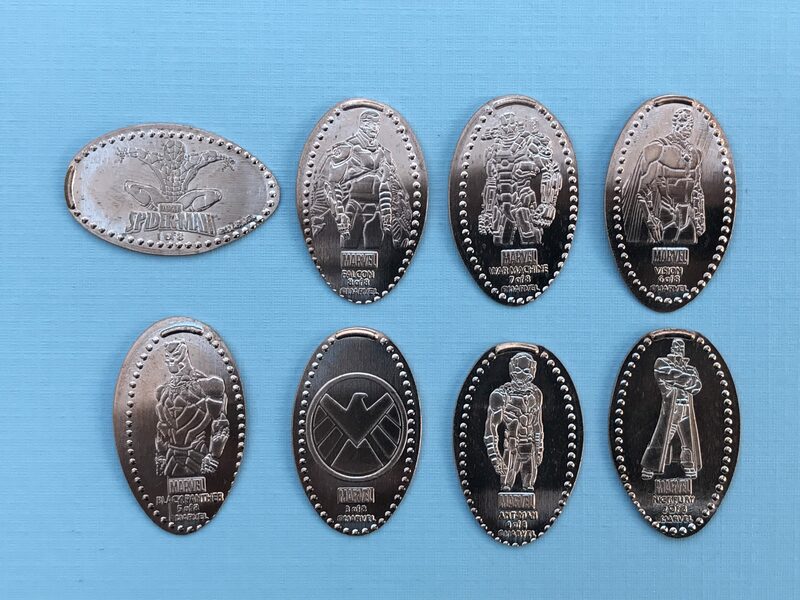 This was a numbered set with images of Spiderman (1 of 8), Nick Fury (2 of 8), Marvel Agents of S.H.I.E.L.D. (3 of 8), Ant-Man (4 of 8), Black Panther (5 of 8), Vision (6 of 8), War Machine (7 of 8), and Falcon (8 of 8). I wish I could say I stayed away from the Star Wars area but the Force was too strong (sorry I had to). Eventually after deciding on just a half-dozen items I paid for my things and headed back out into the light so we could find something to eat…and maybe more pennies. Hi Rick. I checked through all my coins and unfortunately didn’t find any extra copies. 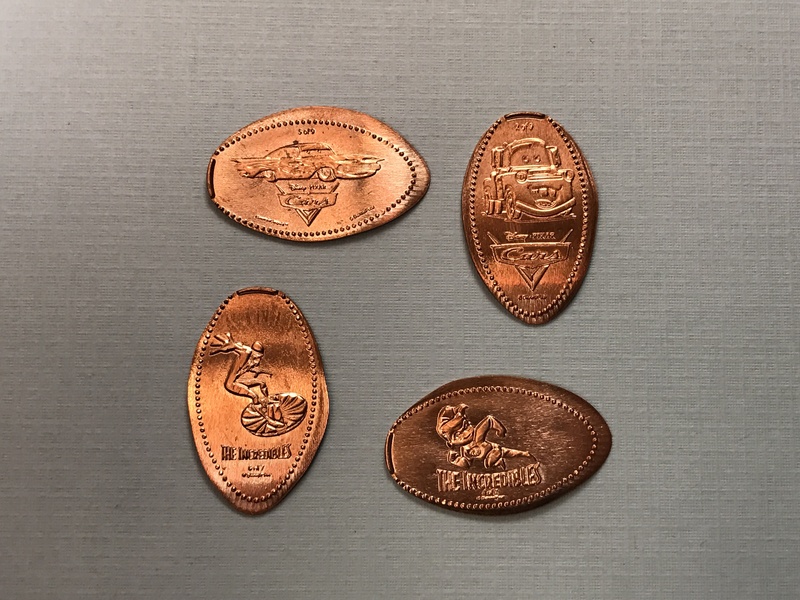 I also asked a few fellow WDW coin collectors and they didn’t either. I’ll keep checking around and if I come across one I’ll be sure to let you know.